Extreme air pollution in Asia is affecting the world’s weather and climate patterns, according to a study by Texas A&M University and NASA’s Jet Propulsion Laboratory researchers. Yuan Wang, a former doctoral student at Texas A&M, along with Texas A&M atmospheric sciences professors Renyi Zhang and R. Saravanan, have had their findings published in the current issue of Nature Communications. Using climate models and data collected about aerosols and meteorology over the past 30 years, the researchers found that air pollution over Asia – much of it coming from China – is impacting global air circulations. “The models clearly show that pollution originating from Asia has an impact on the upper atmosphere and it appears to make such storms or cyclones even stronger,” Zhang explains. China’s booming economy during the last 30 years has led to the building of enormous manufacturing factories, industrial plants, power plants and other facilities that produce huge amounts of air pollutants. Once emitted into the atmosphere, pollutant particles affect cloud formations and weather systems worldwide, the study shows. 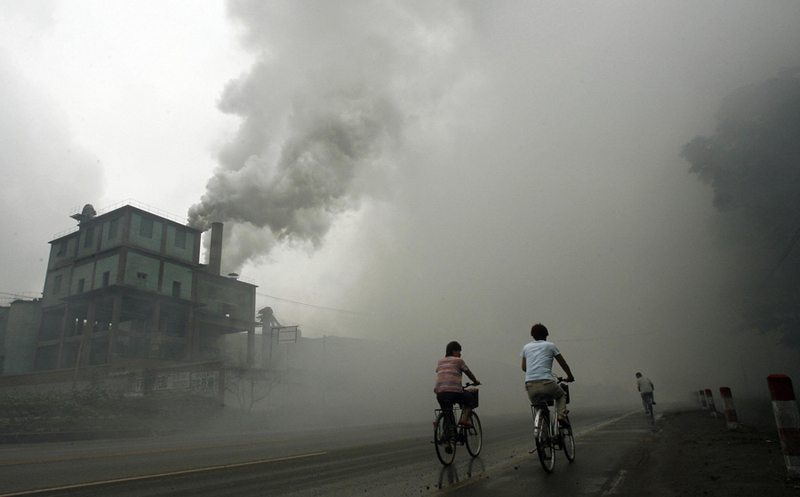 Increases in coal burning and car emissions are major sources of pollution in China and other Asian countries. Air pollution levels in some Chinese cities, such as Beijing, are often more than 100 times higher than acceptable limits set by the World Health Organization standards, Zhang says. One study has shown that lung cancer rates have increased 400 percent in some areas due to the ever-growing pollution problem. Conditions tend to worsen during winter months when a combination of stagnant weather patterns mixed with increased coal burning in many Asian cities can create pollution and smog that can last for weeks. The Chinese government has pledged to toughen pollution standards and to commit sufficient financial resources to attack the problem. “The models we have used and our data are very consistent with the results we have reached,” Saravanan says. Yuan Wang, who conducted the research with Zhang while at Texas A&M, currently works at NASA’s Jet Propulsion Laboratory as a Caltech Postdoctoral Scholar. The study was funded by grants from NASA, Texas A&M’s Supercomputing facilities and the Ministry of Science and Technology of China.